When you publish your eBook on Amazon’s Kindle store, turning on DRM (Digital Rights Management), or not, is a choice you will need to make. 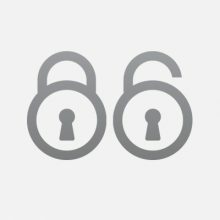 Switching on DRM locks your work, making it difficult (but not impossible) for people to share your titles without paying for additional downloads. Is this a good or a bad thing? There are arguments for and against enabling DRM for your eBooks. Those who are in favour of DRM say that it is a professional and business-like way to work, and it helps avoid loss of revenue caused by pirating, sharing and otherwise illegal copying or distribution of your titles. Arguments against DRM state that it is counter-productive and that, especially for self-published authors, the benefit of allowing readers to share and distribute your titles as they see fit can only add valuable fuel to the marketing fire. One thing that is generally agreed is that readers themselves do not like having to buy more than one copy of a book to share it, or read it in different formats. Back in the good ol’ days, when paperbacks were all the rage, you could simply give your pre-loved title to a friend or family member to enjoy - you wouldn’t have to send them to the shop to buy their own copy because, magically, yours could only be read by you and wouldn’t open for anyone else. So, DRM or not DRM? There is no right answer, but at Spiffing we believe that allowing readers to share a title will increase its popularity and reduce the opportunity for piracy, especially in the short to medium term. If you disable DRM initially, and then popularity of your titles grow, with downloads increasing exponentially, you might want to consider enabling DRM. While you are working hard to promote your titles and build a fan-base of readers, we would recommend doing things the old-fashioned way and allowing people to freely enjoy, share and talk about your work.